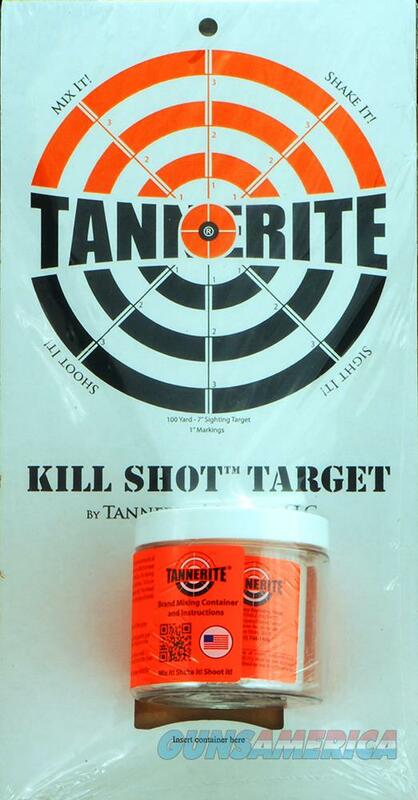 Description: The Tannerite Kill Shot Target is designed for hanging on a peg. The size is 8"x16"x3.5". The explosive substance in mixed in the included jar and inserted into the cardboard target.